Ashley Borne West Heath are pleased to offer For Sale this delightful three bedroom mid terraced family home, ideally located a short walk away from local shops, schools and bus routes. The property is also situated a mile's drive from M42 motorway links as well as being close to Longbridge Town Centre & Train Station. In brief, the property comprises of an entrance hallway, a spacious lounge/diner, a fitted kitchen, a family bathroom, two double bedrooms and a good sized single bedroom. 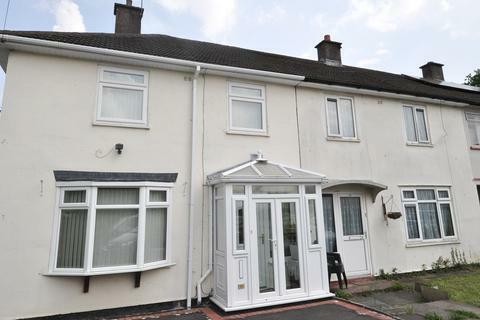 The property also benefits from gas central heating, double glazing throughout, front and rear gardens and a rear garage. To arrange a viewing, please contact the office on[use Contact Agent Button], option 2. Having tiled flooring, a double glazed window to rear aspect, a range of wall and base units with space and plumbing for a stand alone gas oven, dishwasher, washing machine and fridge freezer, with a roll top work surface incorporating a stainless steel sink and drainer with tiling to splash backs. Having laminate flooring, a double glazed window to front elevation, a central heating radiator, built in storage cupboard and television and electric points. Having lamiante flooring, a double glazed window to rear elevation and electric points. Having laminate flooring, a double glazed window to front elevation, a central heating radiator, electric points and an over the stairs storage cupboard. Having tiling to both walls and floor, an obscured double glazed window to rear elevation, a central heating radiator, a panelled Jacuzzi bath, close coupled w.c, a pedestal wash basin and separate shower cubicle with mains powered shower. Having patio are leading to lawn, with rear access and garage. Property reference 9477091. The information displayed about this property comprises a property advertisement. OnTheMarket.com makes no warranty as to the accuracy or completeness of the advertisement or any linked or associated information, and OnTheMarket.com has no control over the content. This property advertisement does not constitute property particulars. The information is provided and maintained by Ashley Borne Sales & Lettings - West Heath. Please contact the selling agent directly to obtain any information which may be available under the terms of The Energy Performance of Buildings (Certificates and Inspections) (England and Wales) Regulations 2007 or the Home Report if in relation to a residential property in Scotland. AN IDEAL FIRST TIME PURCHASE, THIS END TERRACE RESIDENCE OF NON-TRADITIONAL BUILD HAS TWO GENEROUS BEDROOMS along with modern kitchen and bathroom, further benefiting from plenty of off-road car parking, this would also make an ideal investment. 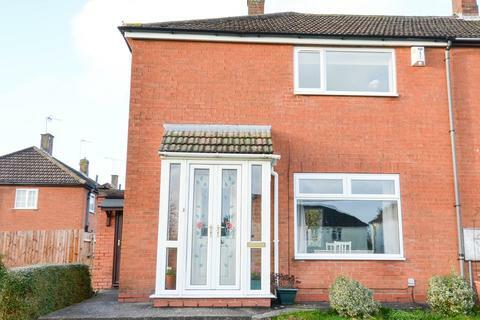 EP Rating D.
Ashley borne West Heath are pleased to offer For Sale this beautifully presented two bedroom semi detached home, suitable located for easy access to St.John Fisher Primary School, local shops and bus routes. 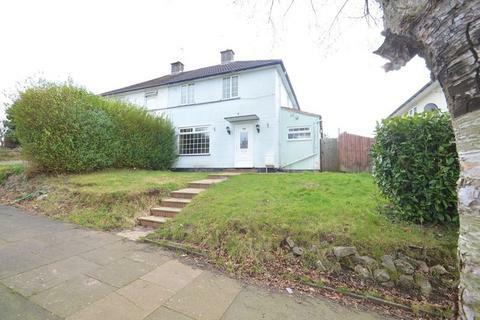 The property is also a short drive from Longbridge Town Centre and M42 motorway links.